Product information "HAIX Multifunctional stockings"
Optimal air circulation by using natural fibres made of merino virgin wool and man-made fibres. 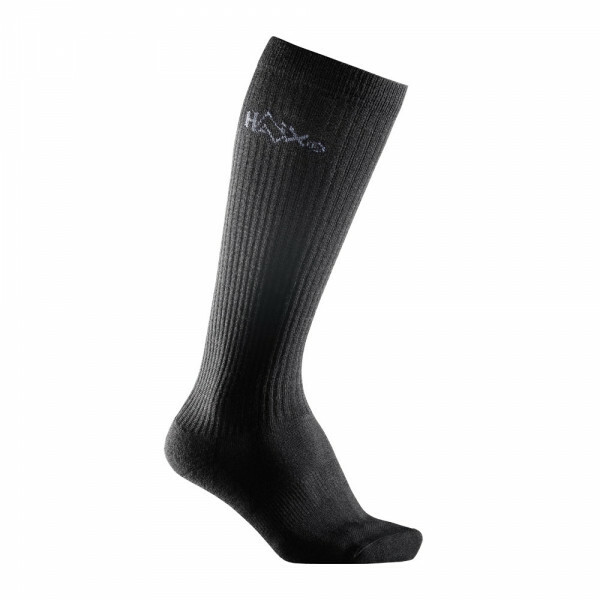 The feet keep dry and comfortably cool even when strained highly. Reinforced metatarsus area as protection against blistering and pressure points. No tightening or slipping due to rubber-free cuff edge. Socks are great , so was the speedy service .